Simple and secure online fundraising. Get your own donation platform setup in minutes. Who can benefit from GrassRoot? Newsong LA recently raised over $100,000 to move into their new home. They also use GrassRoot for online tithing and offering and for various city projects. Reah International raises funds for children in North Korea to deliver food, clothing, and shelter in cooperation with partner organizations. Ryan and Carolyn use GrassRoot to send out project updates to their supporters. They also keep track of expenses so they're always on the same page with their home church. 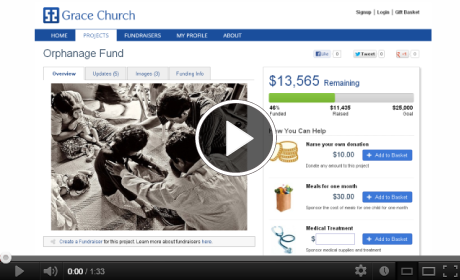 New Philadelphia Church creates a project page for every short-term trip. Each team member can have their own support letter page and rally their friends to give.